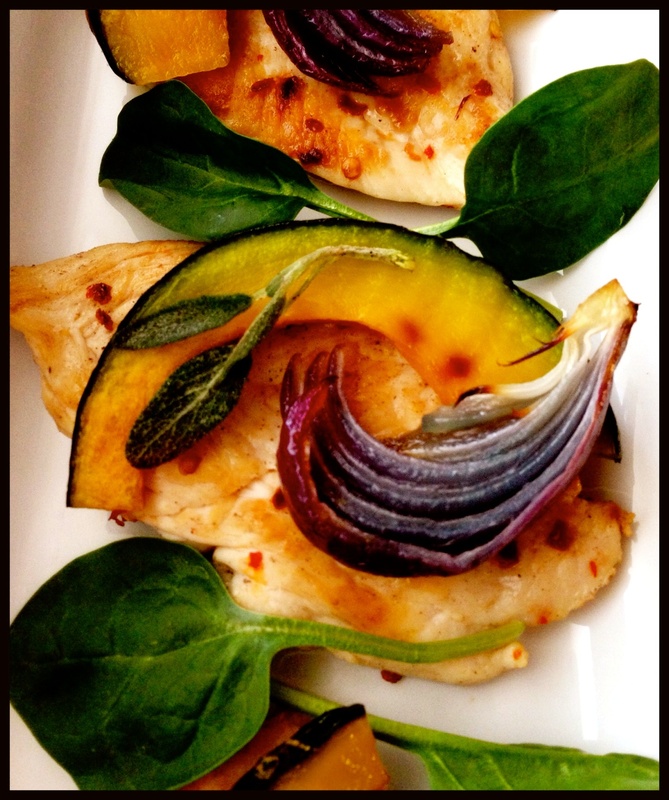 Julia Child once said, “Fat gives things flavor,” and I wholeheartedly agree. 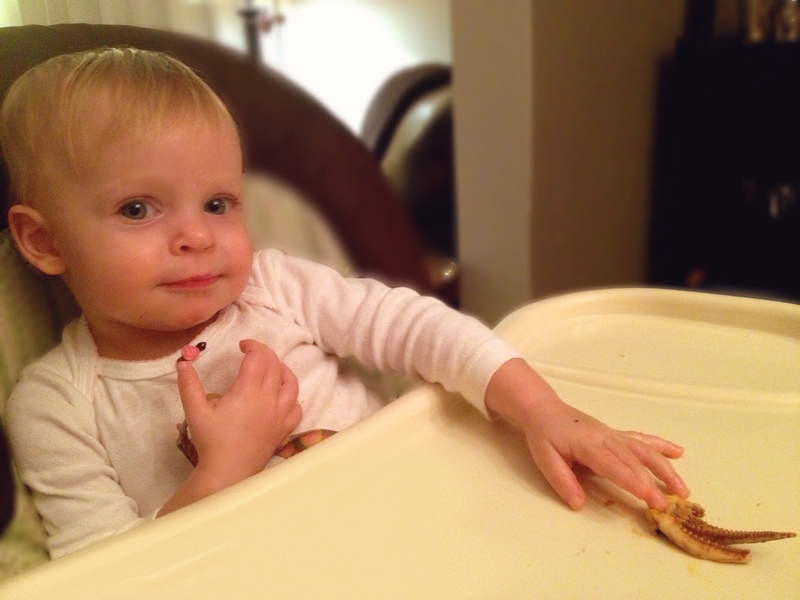 But, unless you’re a triathlete, you can’t eat whatever you want whenever you want. Most people, myself included, need to sustain a healthy balance between fit and fun. With that being said, I’m not going to pretend that the following recipes are in the least bit healthy. Because they aren’t. I mean, not even a little bit. But they’re good. Really good. And that’s what “splurges” are for, right? Eating good food that’s bad for you. So forget about the healthy snacks on Sunday and indulge in one of these crowd-pleasing favorites. Come Monday you can always stuff yourself with salad and spend an extra hour on the treadmill. Melt butter, then whisk together with all the other glaze ingredients, set aside. 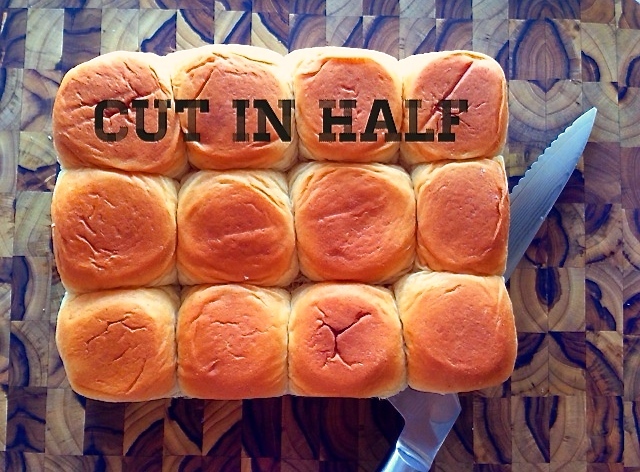 Slice the entire pack of rolls in half, horizontally, keeping rolls in tact. Lightly mist 2 – 9×13 inch baking dishes with cooking spray. 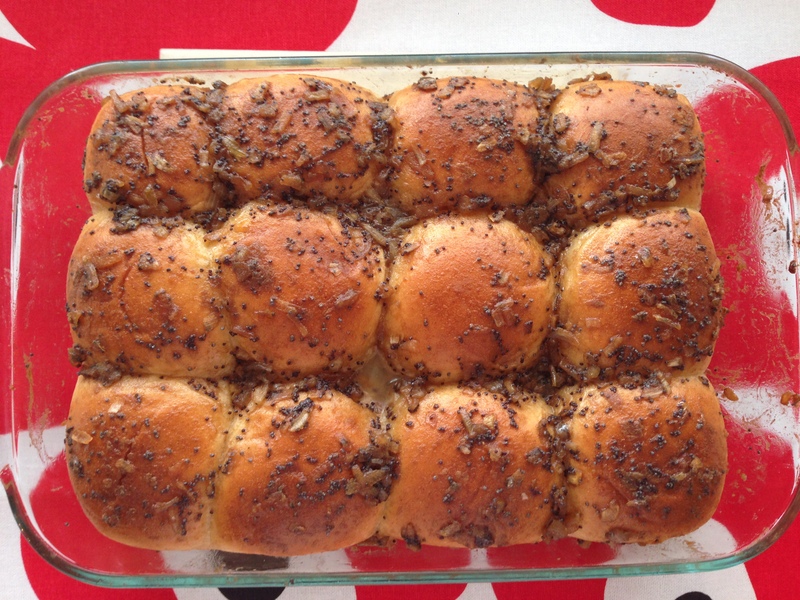 Lay bottom half of rolls in the first dish. Evenly distribute half of ham over bread. 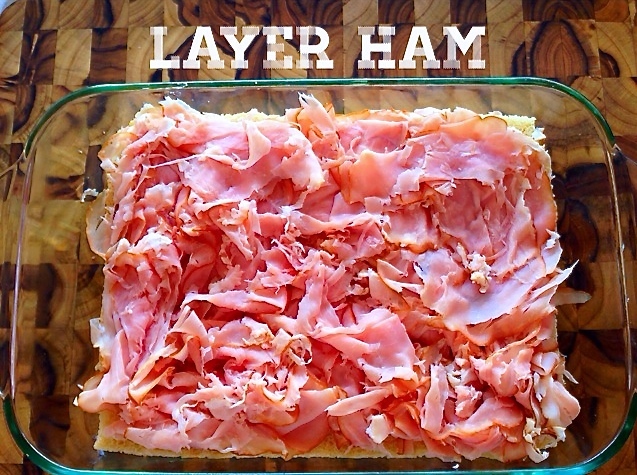 Layer cheese on top of ham. 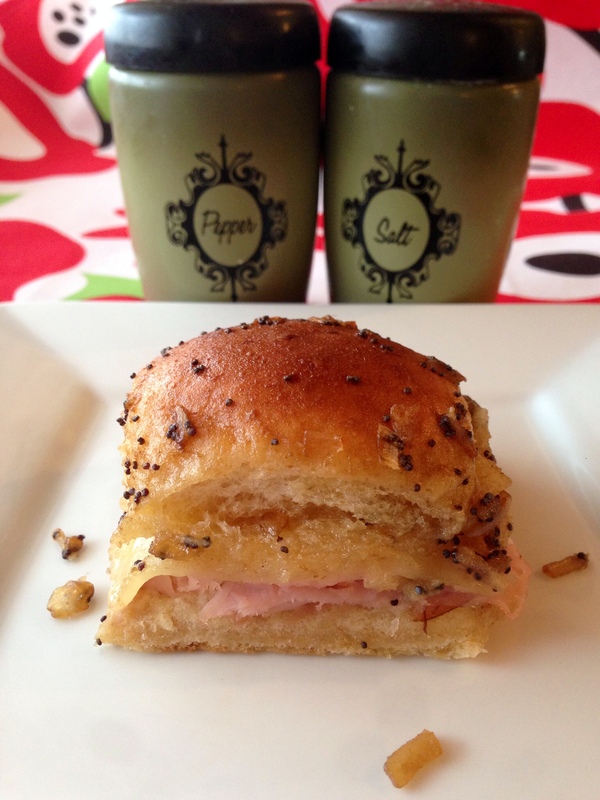 Place tops of rolls over the ham and cheese, then drizzle half of the glaze evenly over sandwiches. Using a spoon, scoop glaze from bottom of dish back over the tops of the rolls until evenly covered, lightly pressing on the tops to help them absorb the glaze. Repeat with second package of rolls and remaining ham, cheese, and glaze. Cover and refrigerate overnight. (*Note, this is an important step as it allows the glaze to fully saturate the buns). Before baking, let the sandwiches come to room temperature for 1 hour. Cover with tin foil and bake at 350°F for 15 minutes, then remove foil and bake for another 2-3 minutes until tops begin to brown. 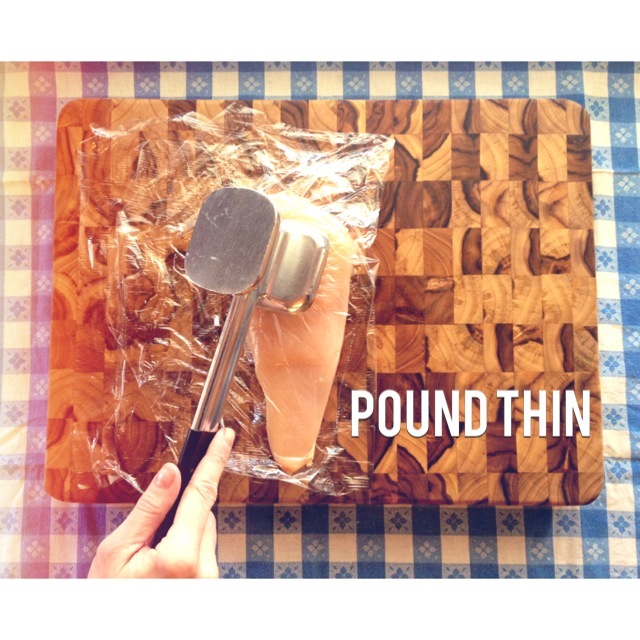 Cut sandwiches along the seams and dish out with a spatula. This fun appetizer is always a hit when I serve it — each bite-sized cube packs a mouthful of cheesy-bacony-Ranchy goodness. In a bowl, whisk the contents of 1 Ranch dressing package together with milk and mayo. Place in refrigerator for 15 minutes to thicken. Meanwhile, with a sharp bread knife, slice sourdough loaf lengthwise into 1-inch strips, cutting down to the bottom crust, but not all the way through. Turn the loaf and cut 1-inch strips in the other direction, creating cubes. 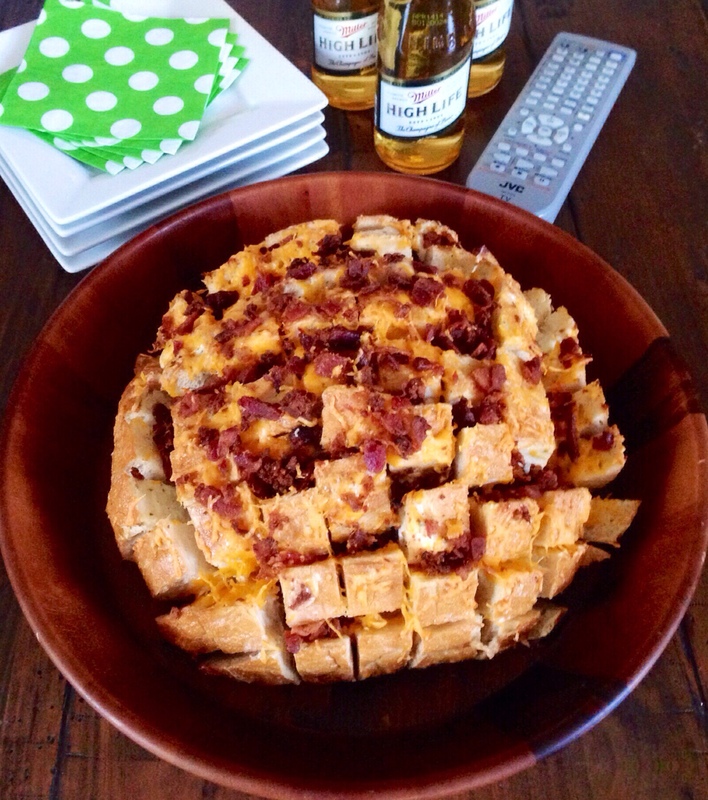 Carefully separate the bread cubes and sprinkle half of cheese and bacon into the seams, distributing evenly. Pour Ranch dressing over the loaf and into the seams (if you don’t use all of the dressing, reserve it for dipping later). 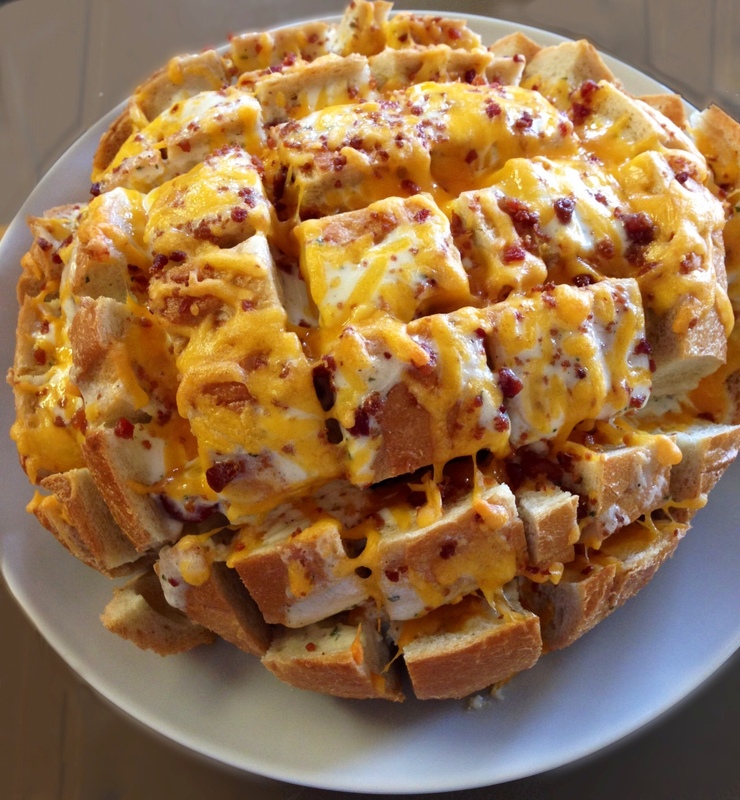 Sprinkle remaining cheese and bacon evenly over the top of loaf. 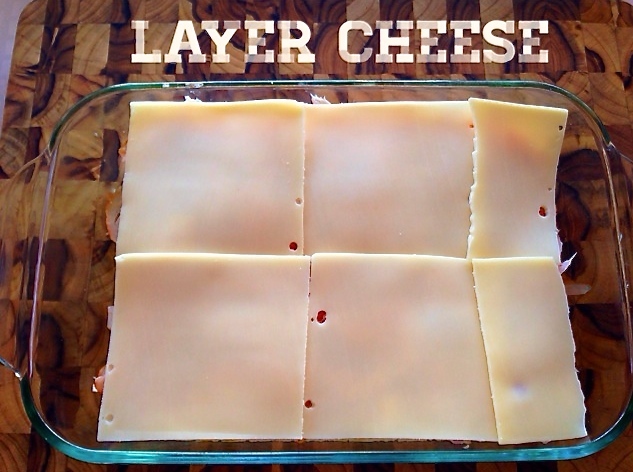 Place on a baking sheet and bake for 15-18 minutes, or until cheese is melted and starting to bubble. 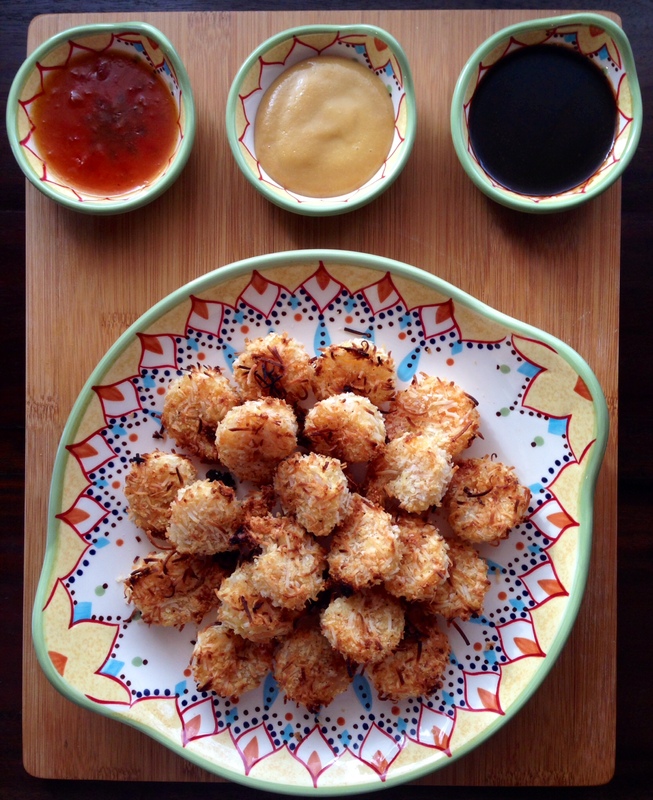 Serve on a large platter with extra Ranch dressing for dipping. Moving around the country as much as we do, I’ve been able to taste a wide variety of chilies. It seems that everyone has their own unique recipe with a “secret” ingredient they’ve vowed never to share, not even under the threat of torture. I am one of those people. When I was writing this blog, I did a lot of soul searching as to whether or not I wanted to post my chili recipe. There are very few recipes that I don’t share, and this is one. I considered including an abbreviated version, leaving out a few key ingredients, but alas, my conscience got the better of me. So here it is, folks, the full, unadulterated version of my Cincinnati Style Chili. In a heavy skillet set over medium-high heat, brown the ground meats in two separate batches. Drain and set aside. 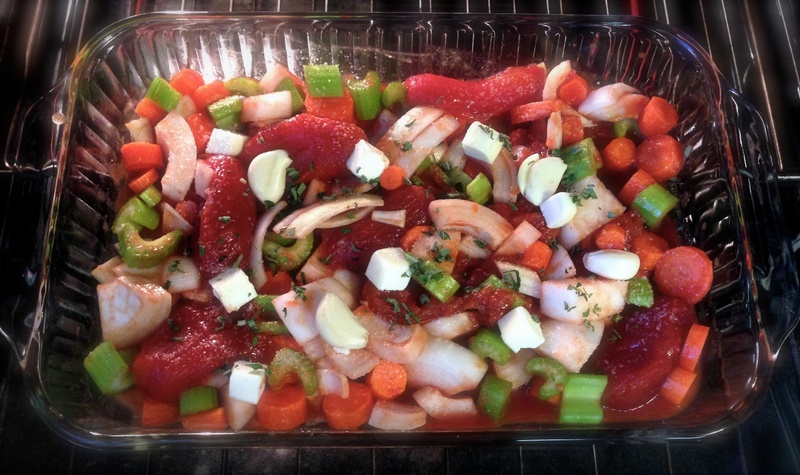 In a large stock pot, sauté onion, peppers, and celery in olive oil until tender, about 8-10 minutes. Add diced tomatoes (breaking apart with hands) and juice, tomato paste, minced garlic, bay leaves, and molasses. Add ¼ cup Chili Spice Blend. Stir and cook until the juices from the tomatoes thicken and become bubbly, about 5-8 minutes. Add beer and cook until liquid reduces by half, about 3-5 minutes. Stir in beef stock and reserved meat and bring to a boil, then immediately reduce to a simmer. In a separate bowl or shaker cup, mix flour and water to create a “slurry” — you’ll want to whisk or shake the mixture until flour has dissolved and the slurry is smooth with no clumps remaining. Add to chili. Taste and season with salt & pepper and more Chili Spice Blend as needed. Partially cover and simmer for 6-8 hours, stirring occasionally. 15 minutes before removing from heat, add drained beans and continue to cook. Pour chili into crockpot and stir in dried kidney beans, cover, and set on LOW heat for 8 hours. *This chili is best when made a day ahead, as time in the refrigerator allows the flavors to marry and the chili to thicken. * Pour chili into a storage container and chill, uncovered, until cool. Cover and continue to chill overnight. Reheat slowly over medium heat, stirring often so that chili doesn’t burn to the bottom of pot. Remove bay leaves. 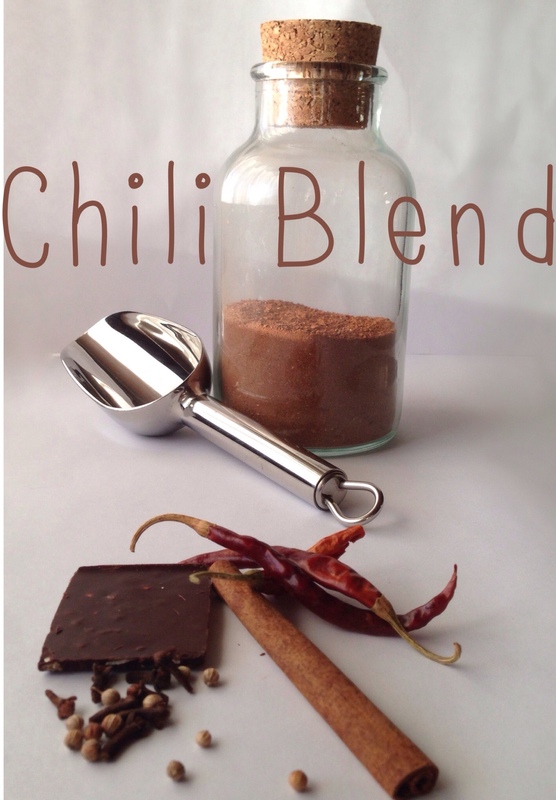 Taste and season with salt & pepper and more Chili Spice Blend if needed. This recipe makes about ¾ cup of seasoning. I use the entire ¾ cup in my chili, but start by adding ¼ cup at a time, then add more as you see fit. You’re gonna want a beer with this chili! Not only is it a Super Bowl tradition, but beer will cut the heat you’re likely feeling after a few bites. Try a German hefeweizen, who’s banana notes pair well with the sweeter spices, or another light beer, such as a lager or pilsner. If you’re not a beer drinker, uncork a bottle of zinfandel instead. 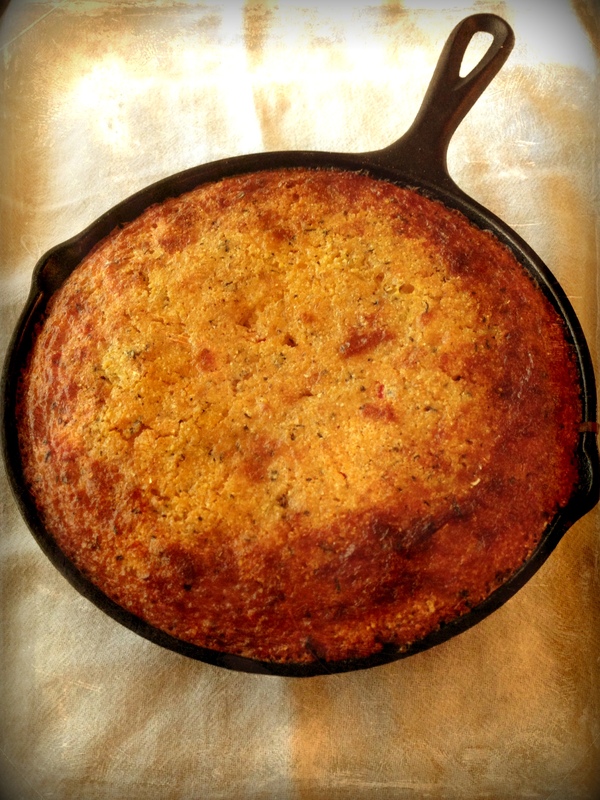 Also, cornbread. But not the overly sweet stuff you get from a box-mix. 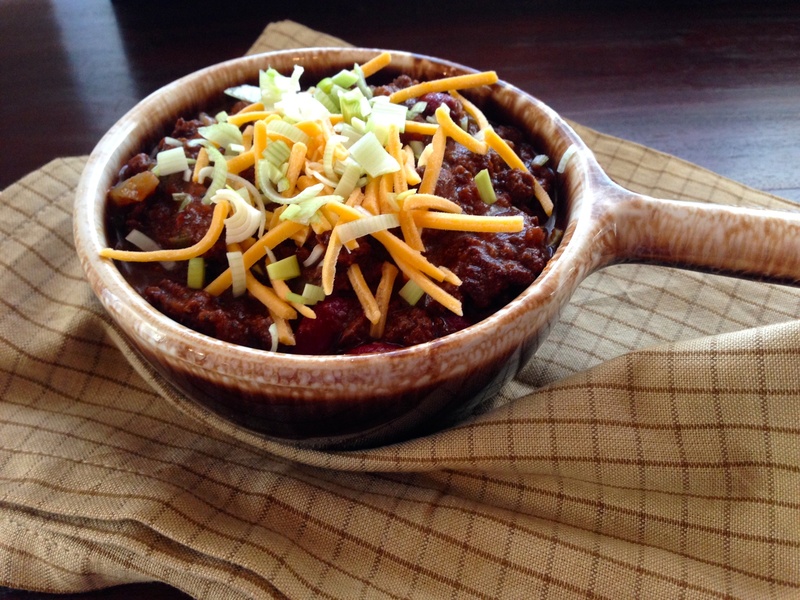 The recipe below is quick and easy, and can hold up against the weight of this chili. Preheat oven to 425°. 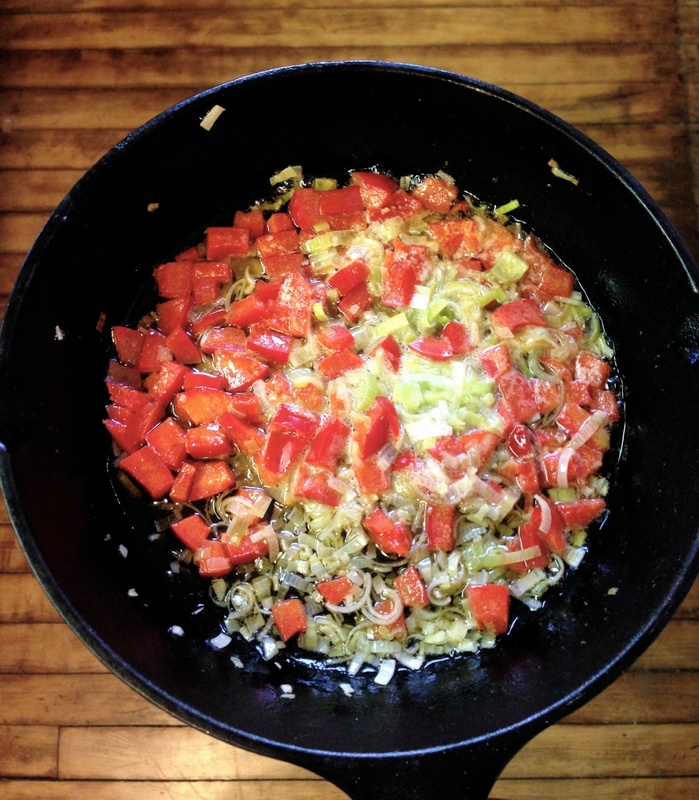 Put butter, peppers, and leeks in a 9-inch cast-iron skillet; place in oven until butter is melted and peppers and leeks are soft, about 5-8 minutes. Meanwhile, in a medium bowl, whisk cornmeal, sugar, baking soda, herbs d’provence, black pepper, and salt. In a large bowl, whisk together eggs and buttermilk. Carefully remove hot skillet from oven; immediately pour butter, red peppers, and leeks into the buttermilk mixture, and whisk to combine. Using a pastry brush, coat bottom and sides with remaining butter. Stir cornmeal mixture into buttermilk mixture until just moistened. Scrape batter into hot skillet; bake until golden, about 25 minutes. 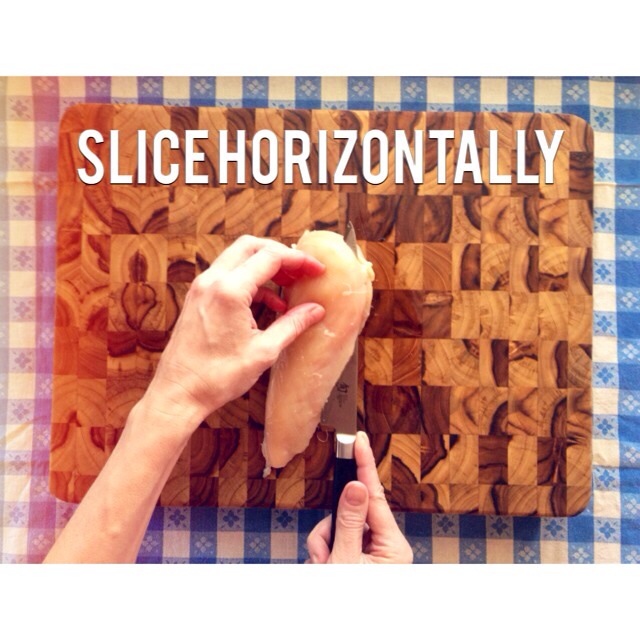 Let cool at least 10 minutes before slicing and serving. 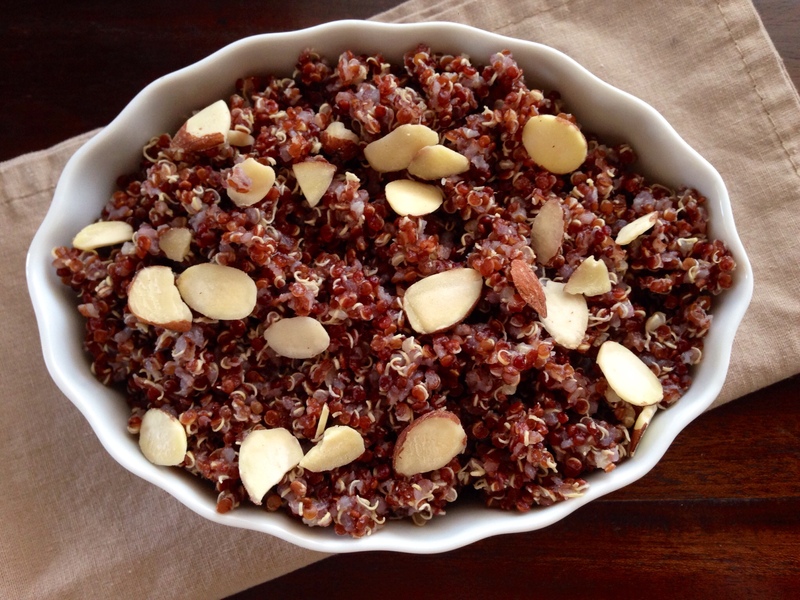 Serve chicken with red quinoa (pictured): Cook 1 cup dry red quinoa per package instructions, but replace water with chicken stock. Once cooked, mix in ¼ cup slivered almonds. Nothing makes me feel like more of a cook and health-conscious mom than standing over a steaming pot of homemade stock, stirring the meat and vegetables that I cut that morning. BUT, and this is a big but, there are many days when I just don’t have the time or the desire to commit four hours to the task. To make my life easier, I always ensure that I have a few cans of stock stored away in my cupboards for just those moments. So, when a recipe calls for homemade stock and you just don’t have the time, store-bought stock is a quick and easy alternative. Butterball (pictured top left): With no surprise, Butterball, a name synonymous with poultry, had the best overall taste, smell, and appearance. It was sufficiently chicken-y, without being either overly salty or overly bland. The price was appealing, too, at $0.49 for a 14.5 oz. can. Of course, good flavor comes at a cost, and with Butterball, it’s the cost of high blood pressure; 820g of sodium per serving. Swanson (bottom left): Swanson brand was by far the easiest to find, as it appeared in the soup isle of every grocery store I visited. It was our second pick for flavor and price at $1.50 for a 32 oz. carton. The aroma and color were a bit off-putting, but if added to a dish with other aromatics, could easily be countered. Slightly better for the heart, Swanson contains 510g of sodium per serving. College Inn (top middle): Fairly easy to find, comparable in price to the other two, and even less sodium per serving (450g), College Inn was the final in our top three picks. An excellent aroma of roast chicken, with a subtle (if not slightly bland) chicken flavor. Kitchen Basics (bottom right): This brand was easier to find than College Inn, but much more expensive than the rest with a price of $2.69/32 oz. carton. It had the second lowest sodium count at 210g per serving, and although it had a nice smell of grilled chicken, there was too strong of a vegetable flavor — which would be excellent for vegetable broth, but not for chicken stock. Emeril’s (top right) and Rachael Ray (bottom middle): We found that neither of these stocks were worth the price ($2.62 and $1.98 respectively for a 32 oz. carton). Emeril’s was very salty and left an oily finish on the tongue, with a high sodium count of 590g per serving. Rachael Ray’s Low Sodium Stock-in-a-Box obviously had the least amount of sodium per serving (135g), but also had the least amount of flavor. When buying pre-made stock, I want to spend my money on something that tastes good, but is also healthy. 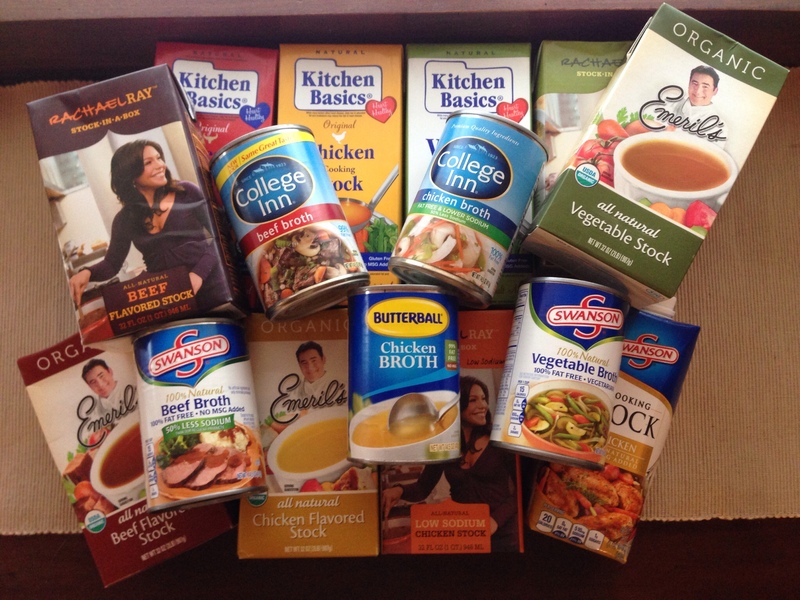 Although Butterball had the best overall flavor, I plan on using College Inn for my “chicken stock emergencies.” The smell was fantastic, the lower sodium count was appealing, and the somewhat thin flavor can easily be punched up with the addition of other vegetables and spices. 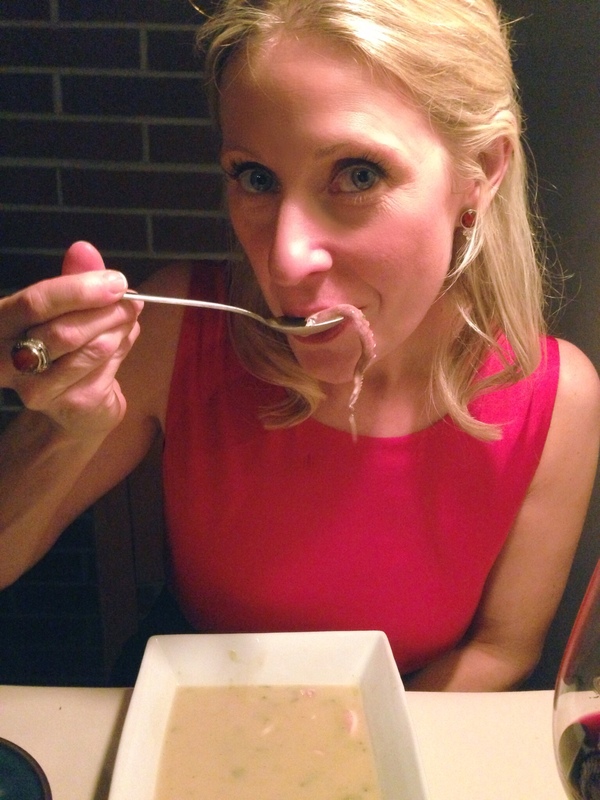 Next week…beef stock! Preheat oven to 325°. In a large glass baking dish, combine onion, celery, carrots, garlic, orange zest, chopped sage leaves, bay leaves, drained tomatoes, and olive oil. 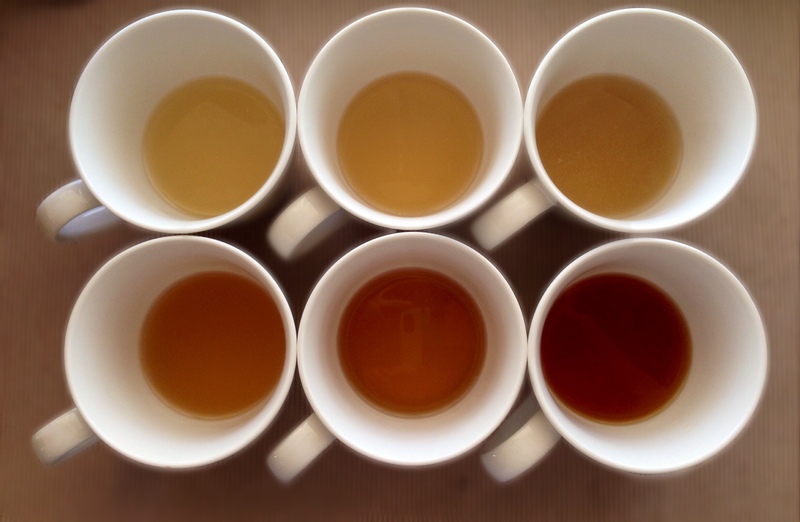 Season with 1 tsp. salt and dot the top with butter cubes (Figure 1). Bake for 75 minutes, stirring half way through. Remove baking dish from oven and let cool slightly. Find bay leaves and set aside. Pour tomato/vegetable mixture into a soup pot with ¼ cup reserved tomato juice, and using a hand blender, purée until smooth (or working in two batches, purée tomato/vegetable mixture and ¼ cup reserved tomato juice in a blender or food processor until smooth, then pour into soup pot). Use more tomato juice to thin if necessary. Add tomato paste, chicken stock, balsamic vinegar, brown sugar, 1 tsp. salt, fresh cracked pepper, whole cloves, and reserved bay leaves to tomato/vegetable purée. Simmer for 1 hour partially covered, stirring occasionally, until soup thickens. Add milk and simmer for an additional 15 minutes. With a slotted spoon, remove bay leaves and whole cloves, discard. 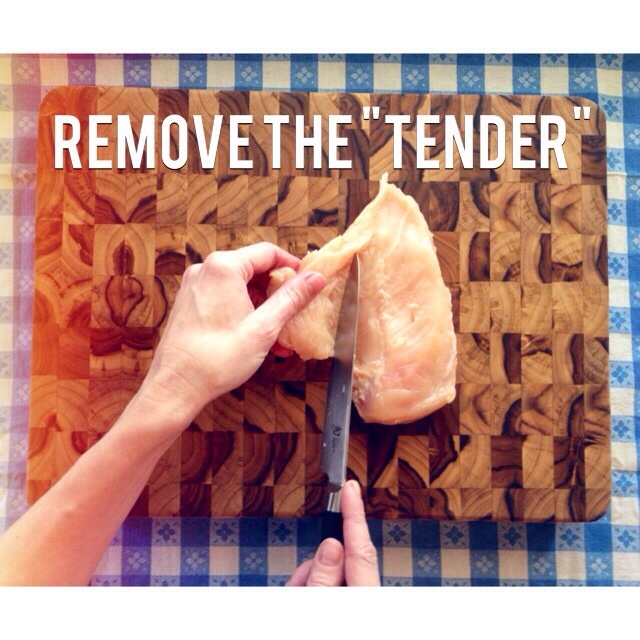 Season with more salt and pepper if desired. When ready to serve, ladle soup into pre-warmed bowls, drizzle with balsamic reduction and top with a fried sage leaf. In a heavy sauce pan, bring all ingredients to a boil, then immediately reduce to a simmer. Continue to simmer, watching closely, until liquid is reduced to ¼ cup, about 30-40 minutes. Pour reduction through a fine-mesh sieve and allow to cool before using. 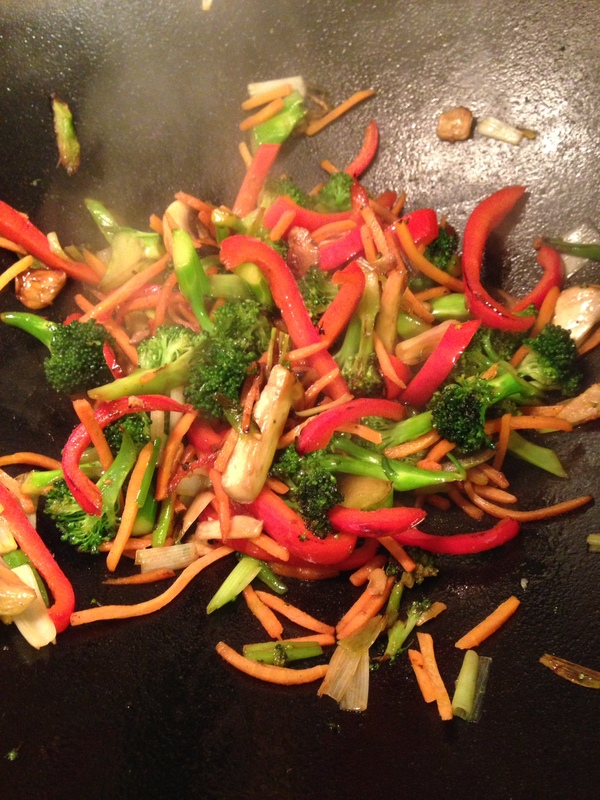 In a heavy skillet over medium-high heat, heat oil until shimmering. 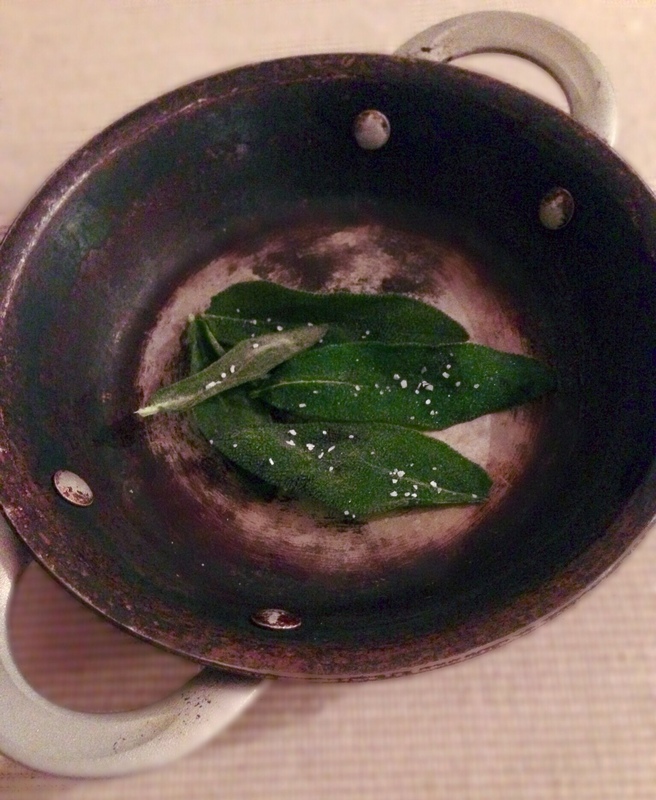 Gently place sage leaves in oil and fry until leaves stop bubbling and are crispy but not burned, about 8-10 seconds. Transfer leaves to a paper towel. Sprinkle with salt. 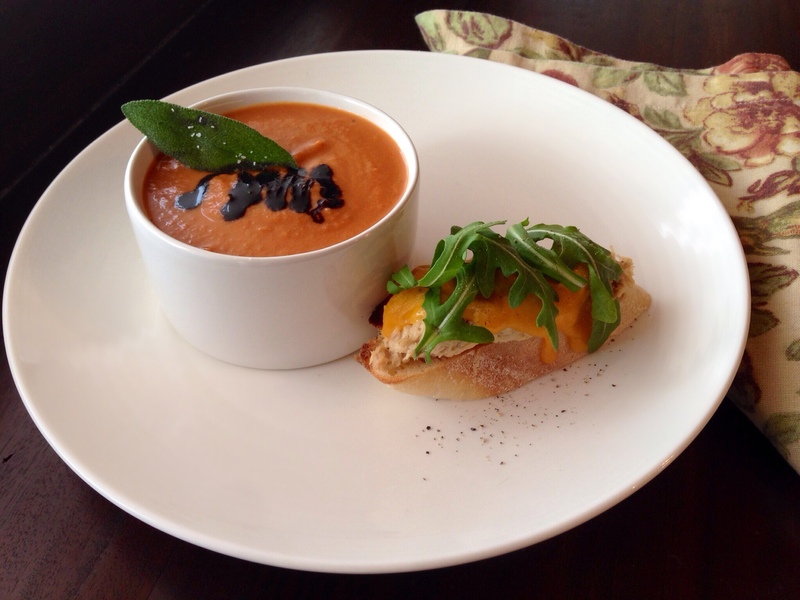 Consider serving a cup of Zesty Tomato Soup with an Open-Face Tuna Melt: Slice French bread on the diagonal. Drain a 12 oz. can of tunafish and combine in a bowl with ¼ cup mayonnaise, 2 Tbsp. dijon mustard, 1 tsp. soy sauce, 1 tsp. worcestershire sauce, and 1 finely chopped shallot. Season with salt and pepper. Spread a heaping spoonful of tuna mixture on the bread, and cover with a slice of sharp cheddar cheese. 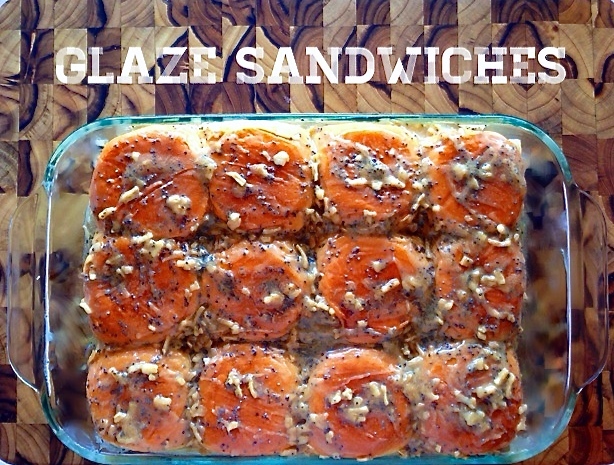 Place slices on a cookie sheet and broil until cheese has melted and is bubbly at the edges. Top with a handful of arugula dressed with equal parts olive oil and white wine vinegar, season with salt and pepper and enjoy! This soup pairs well with a chilled glass of Sauvignon Blanc or Chardonnay. Substitute store-bought stock for homemade stock. Instead of roasting tomatoes and vegetables in the oven, replace 28 oz. can of whole peeled tomatoes with a 28 oz. can of fire roasted whole peeled tomatoes. Start by sautéing the onion, carrots, celery, and garlic in butter and oil directly in your soup pot. Once vegetables are soft and starting to brown, about 10-15 minutes, add the drained tomatoes, orange zest, and herbs. Cook for 15 minutes, then allow to cool slightly before following the instructions on puréeing. There’s not a day that goes by that I don’t stand in my kitchen and say, “What would I do without this (fill in the blank)? 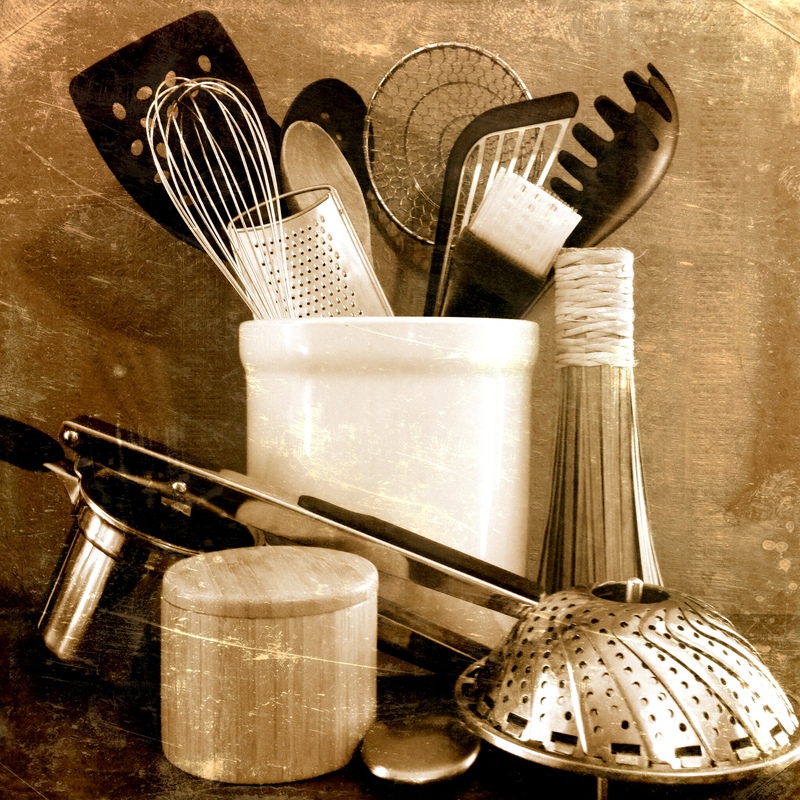 !” Over the years I’ve accumulated a variety of culinary tools designed to make cooking easier; some have been useful, while others have been embarrassingly silly (the banana slicer, anyone?). But the ones that have withstood the test of time, that have earned a place of honor in my kitchen, and have truly made my life simpler, these are the treasures that I plan on sharing with you in Soup’er Finds. 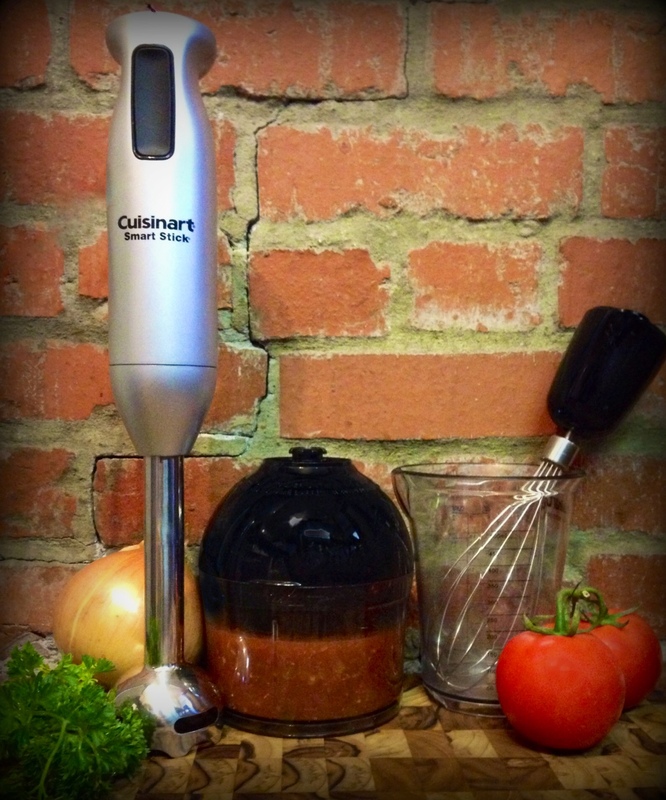 One item that I’ve found particularly helpful (and versatile) in my kitchen is the Cuisinart 2-Speed Smart Stick Hand Blender. With a 200-watt motor, it easily purées all my soups directly in the pot, saving me the hassle of processing hot liquid in my blender. The Smart Stick comes with a whisk attachment and 16 oz. plastic measuring beaker, which is excellent for whipping up homemade vinaigrettes. But, it’s the mini-chopper attachment that makes this product stand out from other hand blenders. I’ve found it so much more convenient to chop up small batches of food than if I were to pull out my heavy duty food processor. 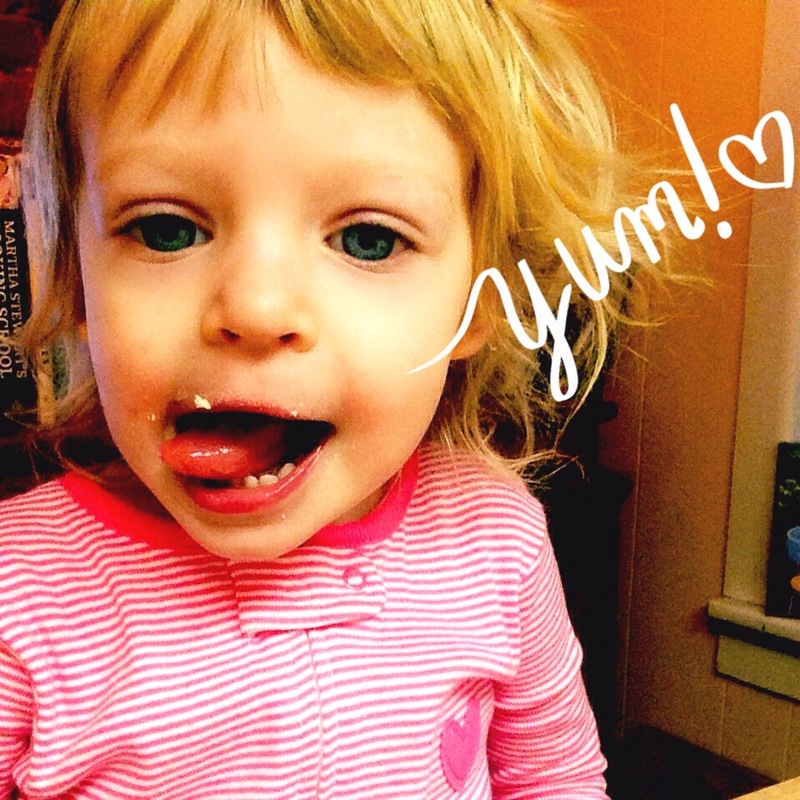 Whether I’m making a quick pico de gallo for fresh guacamole, chopping nuts to add to cookie batter, or blending seasonal fruit to top my toddler’s morning waffles — I find myself using it a few times a week! If your local kitchen store doesn’t carry it, there’s a great deal online at Kitchen and Company for $59.99 +free shipping.